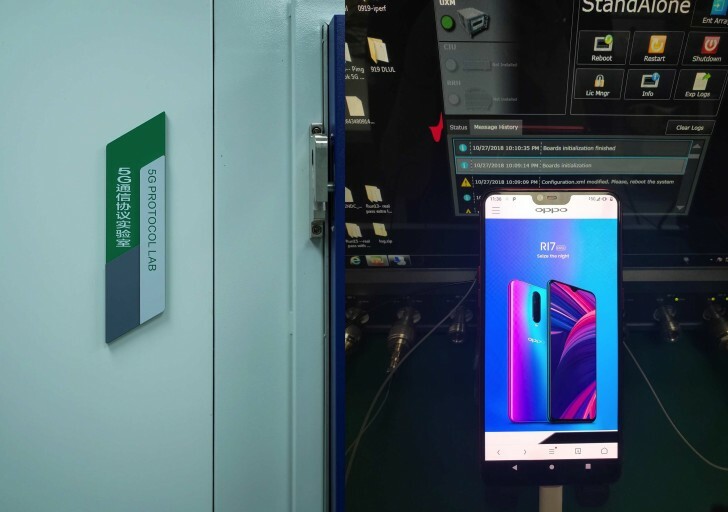 Two months after completing the first 5G tests, an Oppo smartphone reached 5G Internet speeds. Oppo VP and President of the Business Department in China Brain Shen posted an image on Weibo of the device that managed to open the company webpage over 5G speeds, revealing the company is nearing a launch of a phone with next-gen connectivity. The smartphone is built around the Oppo R15, but with a fully integrated 5G system board, RF, RFFE, and antenna. The test was done in Oppo’s communication protocol laboratory where it teased the X50 modem from Snapdragon back in August. Shen said the company is aiming “to become the first brand to release real commercial 5G smartphones”. Oppo is currently working with Qualcomm in developing a 5G-enabled device, with the partnership being announced recently at the Beijing 2018 Qualcomm China Technology and Cooperation Summit. The announcement comes as a response to the OnePlus claim of launching a 5G flagship by the first half of 2019. Another fellow Chinese company striving for the next-gen connectivity is Xiaomi with the latest Mi Mix 3 where a 5G variant was promised to arrive in Europe in Spring 2019.